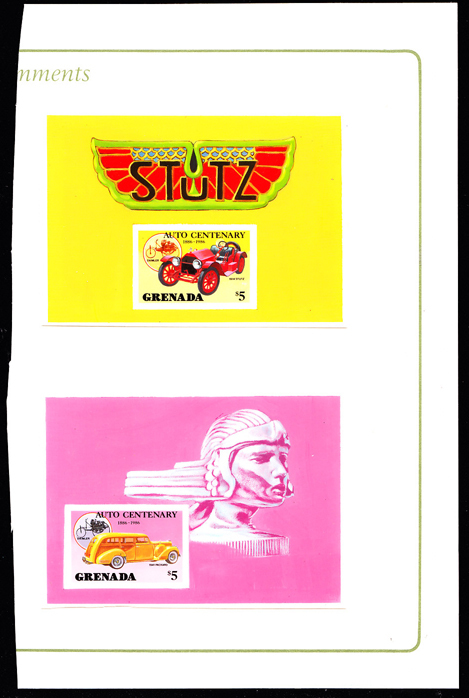 15457 EP GRENADA/GRENADINES (1983) Mercer runabout*. 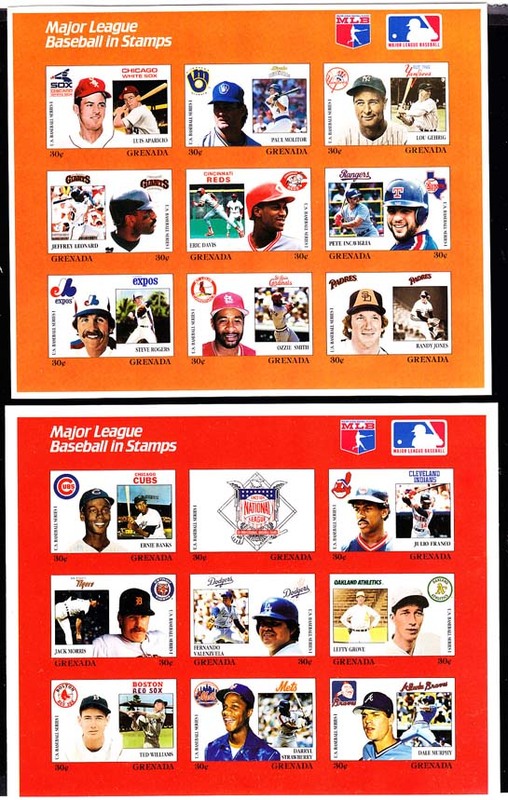 Proof sheet of 8 stamps surrounding central vignette of Mercer Logo. 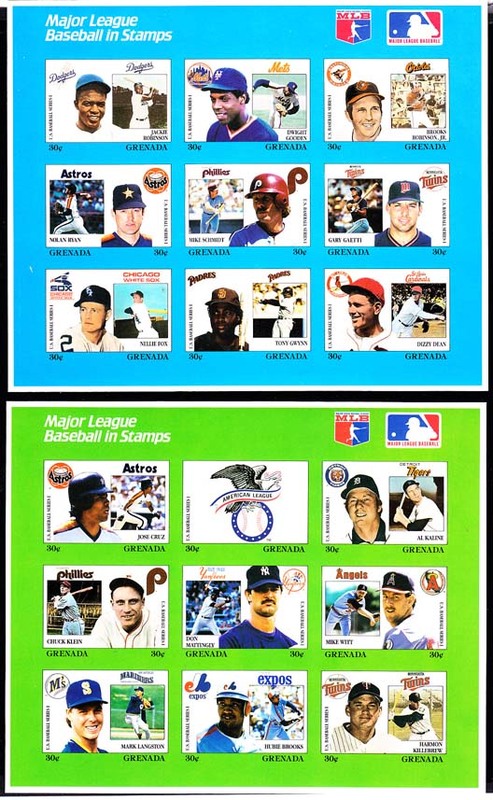 Color bars in margin. 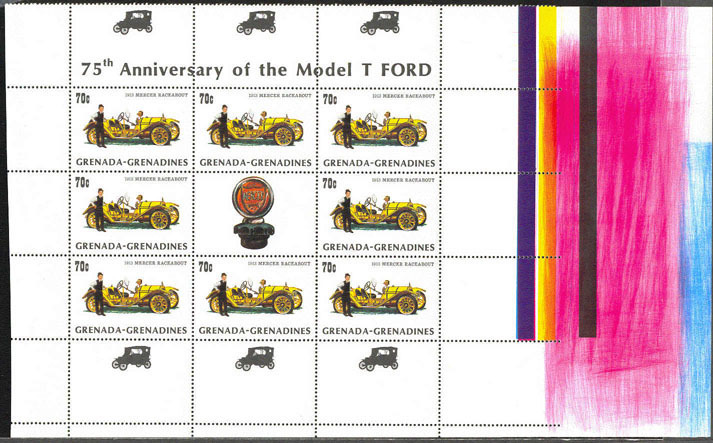 75th anniversary of Model T Ford. Scott No 548, Yvert No 488. Scarce item from the printer's archives! 15458 EP GRENADA (1983) 1931 Invicta Tourer*. 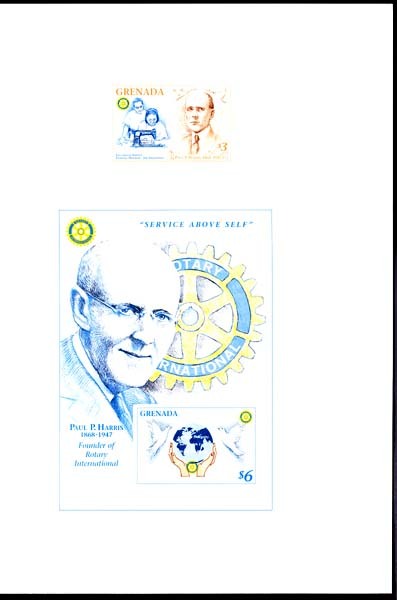 Proof sheet of 8 stamps surrounding central vignette of Invicta Logo. Color bars in margin. 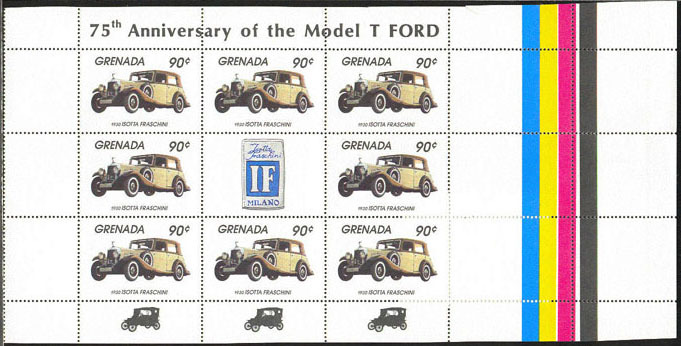 75th anniversary of Model T Ford. Scott No 1162, Yvert No 1091. Scarce item from the printer's archives! 15459 EP GRENADA (1983) 1930 Isotta Fraschini*. 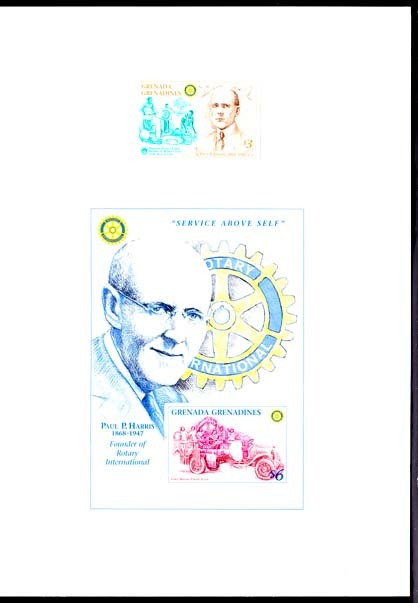 Proof sheet of 8 stamps surrounding central vignette of IF Logo. Color bars in margin. 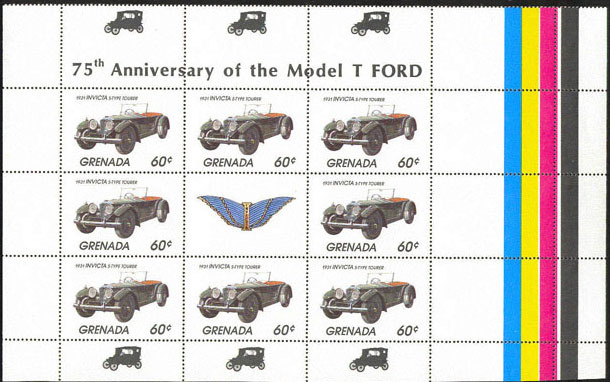 75th anniversary of Model T Ford. Scott No 1164, Yvert No 1093. Scarce item from the printer's archives! 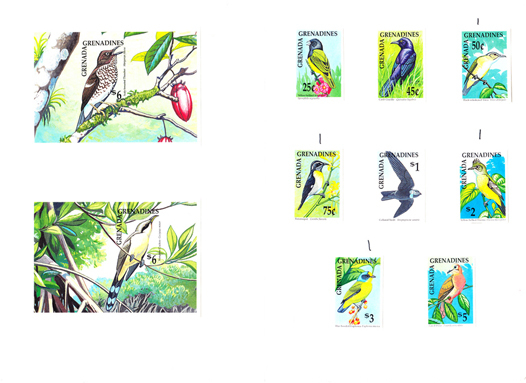 3583 EP GRENADA/GRENADINES (1990) Various birds. 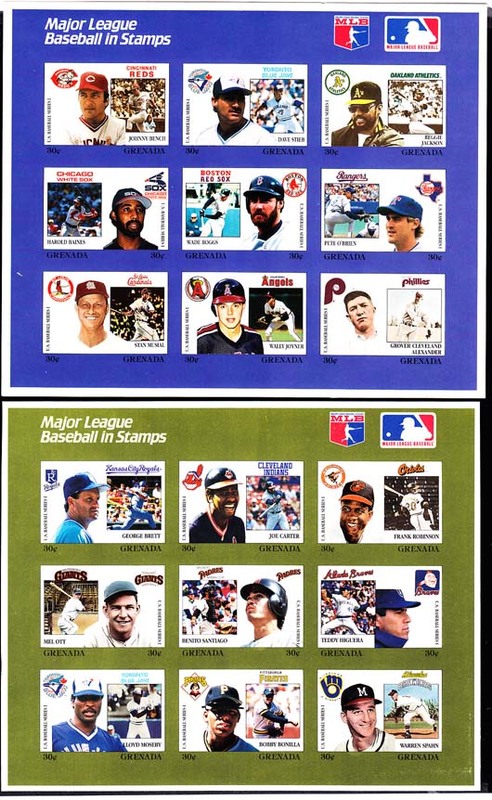 Proof sheet of 8 stamps + 2 S/S mounted in BDT Security Printer folder. Scott Nos 1190-9, Yvert Nos 1124-7,1132-5,BF195,BF197. 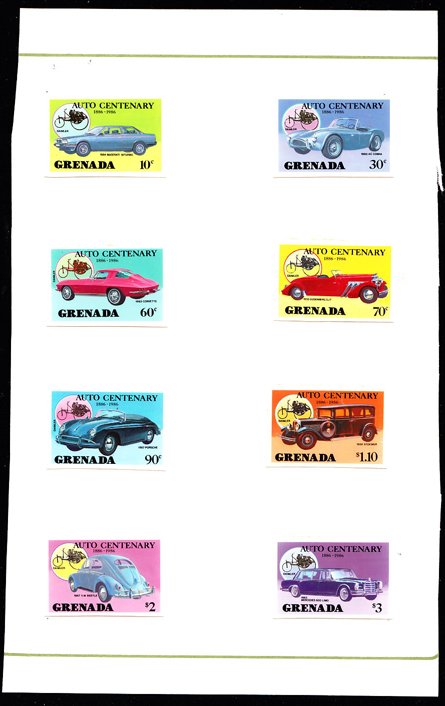 2232 EP GRENADA/GRENADINES (1997) Paul Harris*. Woman pumping well water*. Antique car with parade float*. 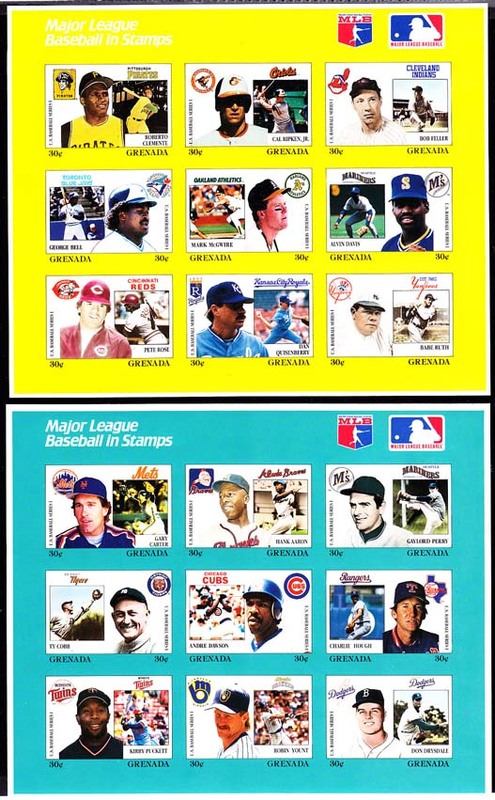 Imperforate proof of stamp and S/S mounted in House of Questa folder. Scott Nos 1925-6. Only a few exist. 2237 EP GRENADA (1997) Paul Harris*. Woman operating sewing machine*. 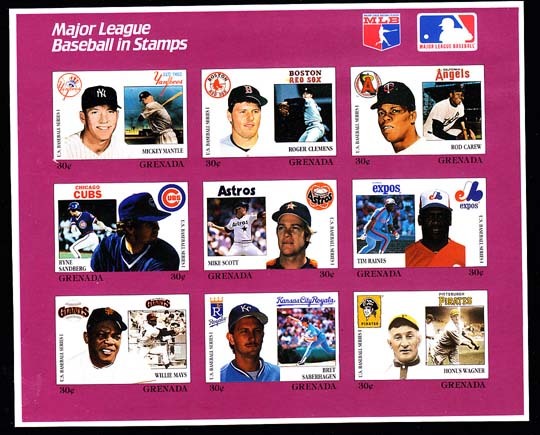 Imperforate proof of stamp and S/S mounted in House of Questa folder. Scott Nos 2658-9. Only a few exist.